The Improv Conspiracy Theatre | Blog | How to disappoint your immigrant parents with improv! Perspective from a performer of colour. How to disappoint your immigrant parents with improv! Perspective from a performer of colour. When I started at The Improv Conspiracy Theatre in November 2015, I could count all the performers of colour on one hand… actually one finger… the answer is one. There was exactly one person of colour on the TIC stage (shout out to my improv sifu Kay Chan!). Beyond that, the only other people of colour in the entire student community were my classmates – two of whom joined me to form Yolk Yolk Yolk, the first ever non-white improv team in Australia*. After binging through all eight seasons of classic Whose Line is it Anyway?, I signed up for short-form improv classes. I took a few classes sporadically over a five year time period before I eventually signed up to a ‘Chicago-style long-form improv’ class at The Improv Conspiracy Theatre. I was immediately hooked. I love comedy, and this style of improv is the perfect creative outlet for me. What I enjoy most about it is the fun of creating in the moment with friends; and the community that is filled with loveable silly people like me who just want to play and make each other laugh! It is through improv that I’ve had the opportunity and confidence to do other fun creative projects, like short films, sketch shows at the Melbourne Fringe Festival and stand-up comedy. This is the part where it turns into a Guardian opinion piece. I must stress that I’ve never felt that my ethnicity has been an issue during my improv journey. This theatre has been quite proactive in reaching out and diversifying the improv community, through initiatives such as policy and scholarships. 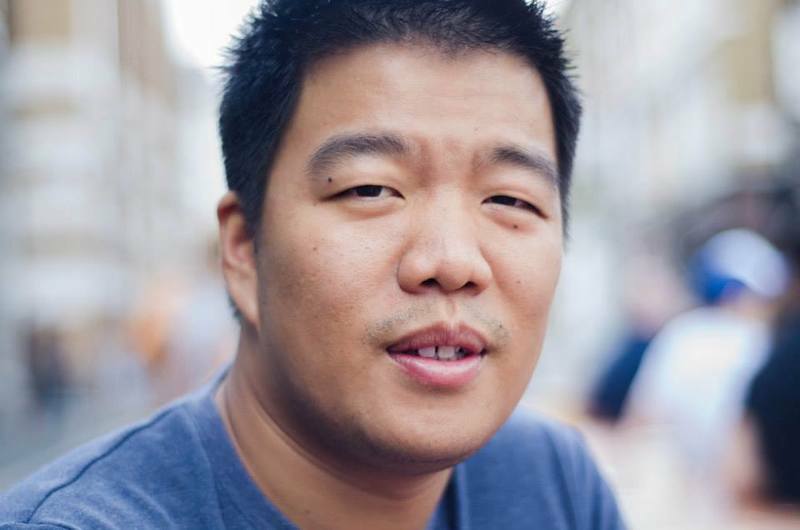 I am where I am in my improv journey because I’m committed to the art of improv – not because I’m the token Asian guy. The only time my ethnicity has ever been a minor issue is when I’m at dinner with my Harold team and we have to order the mild curry because some people have no spice tolerance! Across the board in all areas of life, diversity and representation is an ongoing issue. Certainly, there are barriers preventing people of colour from achieving success in the arts, but on the other side of the coin, it is too simple to put all the blame on 'the system'. In my experience, I’ve found that there’s also been a lack of support/confidence within my own community. For the average working-class immigrant parent, the idea of self-expression through the creative arts is not one that even enters their mind. My mum came to Australia as a Chinese-Timorese refugee after fleeing persecution from the invading Indonesian army. She arrived with a lack of English and only $100 to her name, her new life was just about survival - work, save and invest back into the family for a better future. For many children with immigrant parents, this philosophy has been programmed into us early on. Creativity was just a cheap way to keep the kids occupied from boredom. The lack of representation equates to the lack of belief. Growing up in the '90s, there were hardly any Asian performers for my parents to reference, aside from Lee Lin Chin and Saturday Asian Film Nights on SBS. That’s why sometimes, it’s as simple as seeing someone that looks like you on stage that gives you the confidence you need to pursue the creative arts. Dad: You know why Bruce Lee become a film star? Dad: Because Hollywood always put him in bad roles making fun of us...make sure you don't do the same...do your thing...be like Bruce Lee. What he was trying to express was Bruce Lee suffered from old-school 60’s racism and was forced to forge his own way to become a breakout star. My dad’s concern for me doing the arts is rooted in this lack of representation - seeing is believing. If my parents saw more talented Asians represented on the Australian screen, it could’ve been a reference for them to understand the importance of the arts and why their son decided to complete a Bachelor of Arts. Diversity - nan desu ka? Diversity is not just a tick box that makes everyone feel happy and included; diversity is a qualification you hold. You, who identifies as this group, thoroughly understand this part of the world, and you can confidently speak about it with the subtle nuance and detail required. If improv is mirroring life, then diversity is the brush that adds more colour. Take this example of the common comedic “gossiping relative” character. Every family has a gossiping relative, but each family’s gossiping relative will have different details. Based on my personal experiences, my idea of a gossiping relative is a Chinese auntie who talks endlessly about the salary earnings of her friend's, sister’s, brother-in-law’s daughter, and how she often encourages me to meet her for a potential marriage - all while serving me herbal ginseng soup that increases my qi, and alleviates all my medical issues. It's in this difference of specifics that we have a gold mine to enrich our improv. Again, your diverse identity (whether it be ethnic, socio-economic, gender, sexual orientation) qualifies you to use those specifics in your scene work and create some fun, unique improv. The Upright Citizens Brigade Theatre is home to the all-Latinx improv team, Gringos, as well as Asian AF, a comedy variety show featuring an Asian-American cast. The All-African American Armando team, 3PEAT, have a monthly residency at iO Chicago. Groundlings is home to Black Version, an all-African American ensemble that takes an audience suggestion of a film and improvise the ‘black version’ of it. As this Melbourne improv community continues to expand, naturally the number of performers of colour will also grow. We seem to be following the trend at a much quicker rate than our American counterparts. We currently have eleven performers of colour across The Improv Conspiracy’s Harold Night and Fresh Blood teams and over 15 performing consistently on the monthly show calendar - that's a 275% increase over 2.5 years since I started! With this trajectory, we're gonna be swamping the place. You heard me, Pauline Hanson! Aside from Yolk Yolk Yolk, we’ve had multiple Cage Matches featuring additional teams with performers of colour. Rotating Taps was once headlined by Dilawaprov - a 20 minute improv show spoken in the Filipino tongue of Tagalog by Randy Adeva and Margot Tanjutco. Earlier this year, Surrounded By Wankers' Pedro Cooray organised an Outliers show featuring only performers of colour. It felt refreshing to see nine POC performers on the TIC stage, which instantly created a different stage picture than usual. More shows like this are bound to happen, and it's by no means exclusionary. In fact, it'll just add more insight to another world that you don't even know about. Compared to the US, the improv scene in Australia is quite young, and with that inexperience, the silver lining is that we have the ability to be more adaptable and quicker to change. These are indeed some exciting times ahead for us! Sure, we still have a long way to go in diversity but we're heading in the right direction. Remember that 275% increase! If you’re a person of colour and sitting on the fence on improv or someone who lacks confidence in your improv abilities, just remember your experiences and perspectives are unique, enjoy the silly fun and most importantly, you are enough. Change is happening, so learn to enjoy the spice! Brendan Wan is an Improv Conspiracy member.